When it comes to sunglasses, regular use comes with the inevitable wear and tear. Whether they’re a designer pair of shades or a modest pair you wear on the golf course, no pair of sunglasses are safe from scratches. It’s an unavoidable part of sunglass ownership. Scratches will instantly ruin a pair of shades. They can block your vision when you put the glasses on and destroy that lustrous sheen. Thankfully, there are a few methods out there that may restore the pristine look of your favorite shades. That being said, not every method is foolproof. Depending on the severity of the scratch and the sunglasses themselves, the methods may not work. However, there’s no harm in trying. While you shouldn’t expect a miracle fix for your sun shades, these methods may work for you or, at least, lessen the severity of the scratch. Here are 6 methods to repair that scratched up pair of sunglasses. This method involves the use of silver polish. Alternatively, brass polish can be used if the lenses have a brown tint. A small dab of polish and a cotton ball can be used to rub out scratches. A lint-free cloth will remove the excess polish. The principle behind this method is filling in the scratch with the polish to make it disappear. However, this method really only works on mirrored sunglasses with small superficial scratches. Essentially, the scratch has affected the mirror coating. By filling in the mirror coating with a matching polish, the scratch will seemingly disappear. The method won’t work on scratches that go deeper than the reflective coating on top of the lens. If you’re not sure about the severity of the scratch, give it a try. You may be pleasantly surprised. The same toothpaste you use to polish your pearly whites may actually work to buff out that stubborn scratch on your sunglasses. Before attempting this method, it’s important to get a basic toothpaste. That means a flavored, gel, or whitening toothpaste is out of the question. These types of toothpaste may actually do more harm than good. Like with the first method, simply use a cotton ball and a dab of toothpaste to rub the scratch in a circular motion. This should be done for about 10 seconds. After rinsing off the lens, the process can be repeated. The tiny abrasives in the toothpaste will work to buff out the scratch much like stains are buffed out of the teeth. The pressure of your finger with the grit of the toothpaste can minimize the appearance of light scratches. However, if you’re aiming to get rid of a deep scratch, you’ll likely lessen the severity of the scratch rather than remove it completely. 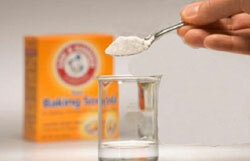 Baking soda is a great product to have around the house thanks to its versatility. When it comes to sunglasses, baking soda can be used to remove or lighten scratches. By mixing one equal part water to one equal part baking soda, you create a thick paste. Use this paste with a cotton ball to rub the scratch in a circular motion for 10 seconds. After that, it’s rinse and repeat. What makes baking soda so great for cleaning is that it has a light grit. The abrasive material is similar to toothpaste. Because the grit is so small, it’s safe to use on delicate items like a pair of sunglasses. 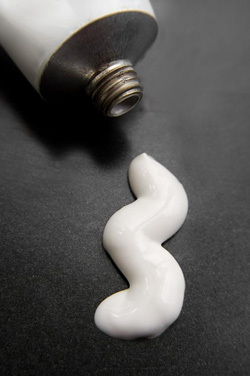 Similarly to toothpaste, this method is mostly effective on light surface scratches. Whether it is a spray or thick wax, furniture wax can fill in scratches seamlessly, much like it would on that shiny coffee table. It’s important to use a lint-free cloth with this method. Lint would become trapped underneath the wax in the scratch. This would only draw more attention to the problem. Lightly apply the wax to the cloth and rub the scratched area in a circular motion until the wax is no longer visible. One of the biggest downsides to this method is that it may only last a few days. 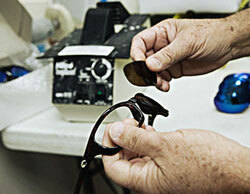 Luckily, the process is easy and can dramatically prolong the life of your shades. 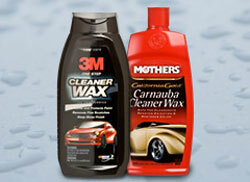 Car wax takes the scratches out of your shining car, so why not use it to remove scratches on your shades? Car wax is a thick substance that can easily fill in scratches, making them disappear within a matter of seconds. Like with furniture wax, it’s important to use a lint-free cloth for application. It should be clean and soft to get the best results. Apply the wax and buff out the scratch in a circular motion. If your sunglasses appear to be hazy or worse off than before, you may have unknowingly used a tinted wax. It’s important to get a clear wax that stays clear. 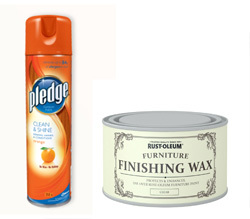 Unlike furniture wax, car wax lasts for quite some time. The only method that is guaranteed to restore the appearance of your sunglasses is to replace them. 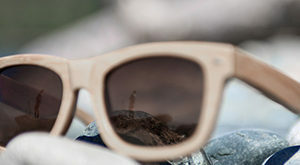 Cheaper sunglasses are easily replaced and eliminate the frustration behind repairing a scratch. However, if you’ve scratched up an expensive pair, it may not be as easy to just toss the old pair for a new one. Luckily, you can simply replace the lenses. While most assume that a damaged lens is the end of a pair of sunglasses, lenses can be purchased separately from the manufacturer. By going directly to the source, you can ensure that you get the right lens. It’s much more cost-effective than replacing the sunglasses as a whole. While it may not seem like it at first, replacement is a breeze. Most lenses will simply pop out of their frame with a bit of force. The replacement lens can then be inserted for a brand new look. If the sunglasses are a bit more complex, the task can be done with a few simple tools.